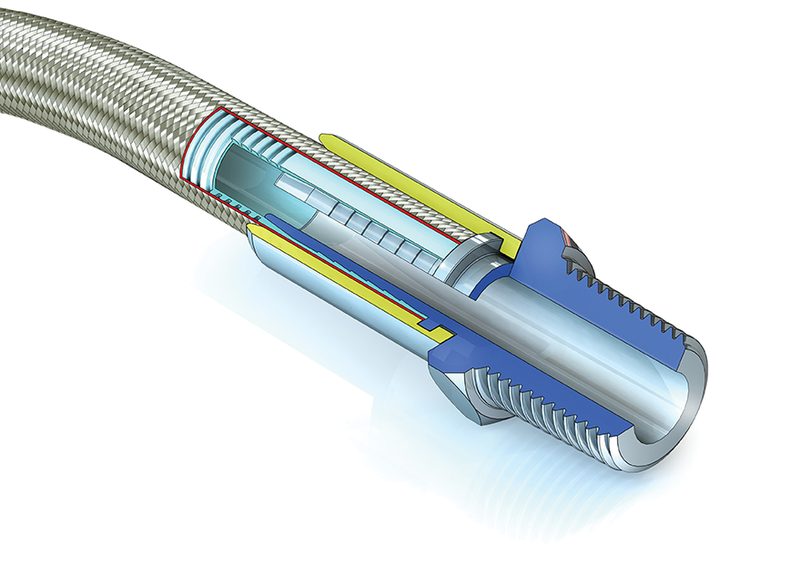 Hyperline FX hose is much more flexible than smoothbore hose, due to the patented design of the PTFE liner, and therefore represents a better alternative in applications where improved flexibility is required. Particularly applicable for the tight configurations increasingly necessary in automotive hose and aerospace hose applications, where space requirements are limited. Stainless steel or polyaramid fibre braided, with plastic or rubber covers as additional options.